Elie Saab presented its Fall Winter 2012-2013 Collection on 4th July at Paris as a part of Paris Fashion Week Fall Winter 2012-2013. I saw the Elie Saab Show Video and can’t resist myself but doing a story on one such great designer with his brilliant collection was on ramp. Once again, he proved himself as a King of haute couture. 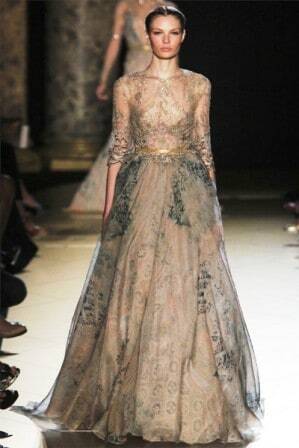 We bring You Pictures of Elie Saab Show at Paris Fashion Week and this time we are showing you Video too. So, Here you Go… 🙂 Check His Collection exclusively here..
Elie Saab started Dressmaking at the age of 6 years, at that time he used to make dresses for his sister, and then he made dresses for his neighbors too. At such young age, he already showed his creativity and talent in Dress making and soon he became a designer. In earlier days he was engage in designing evening gowns and wedding dresses. His clothes were a mixture of Oriental and Western styles. During the 1980’s, his collections attracted many clients, including Princesses and his reputation built up. Which Moment was the Turning Point for Elie Saab? His choice of rich fabrics, lace, detailed embroidery, pearls, crystals and silk threads made him one of his kind designers in the world. Fall Winter 2012-2013 collection was inspired by the ‘imperial splendour’ and Ottoman motifs of Constantinople. As usual it was Rich, Elegant and Vintage! as it was expected but, we noticed some special things too. This time Elie Saab included thin belts in all of his dresses. 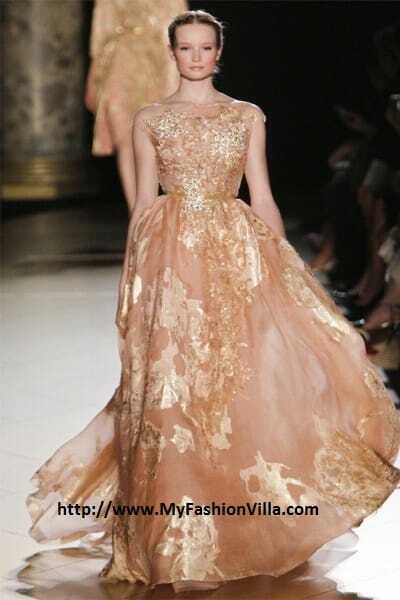 The entire collection was full of glamorous gowns for Couture. The shapes and silhouettes varied from full-length, knee-length sheaths and flirty flared dresses. And at the end of Elie Saab show; That Stunning Bridal! 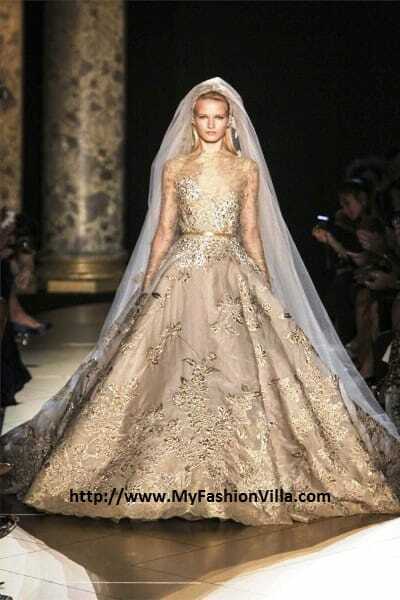 Makes Elie Saab Complete! Have a Look..
Get Ready for Next Interesting Post Soon..